Monique’s Bath Showroom in Watertown, MA is a brick and mortar business that is thriving despite the click and order takeover in so many industries. It may seem easier to head online for your bath renovation needs, but think again. 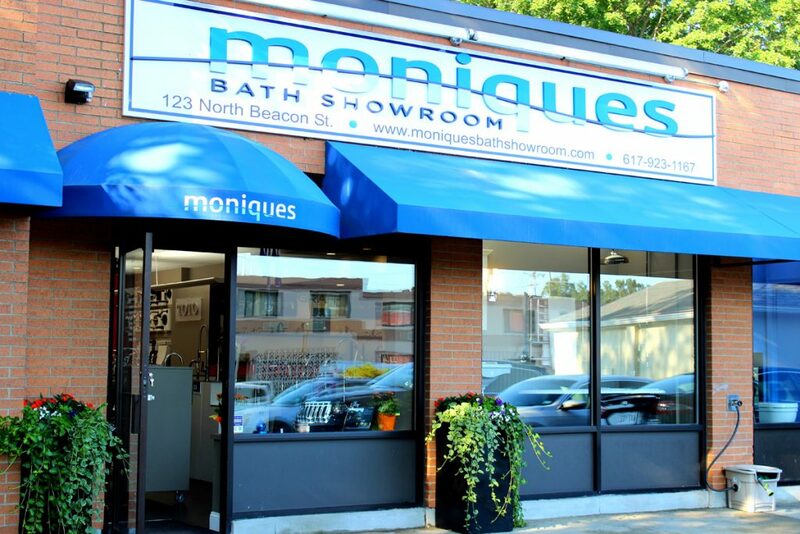 Here’s why you should step away from your keyboard and head to Monique’s Bath Showroom, located at 123 North Beacon Street in Watertown, MA. Walk into Monique’s you’ll be greeted by cheerful orange and blue walls and more options for your bathroom renovation than you know what to do with. Luckily, their knowledgeable staff is there to guide you through the process from start to finish, for as long as it takes. You’ll never feel rushed or unsure of your decision. 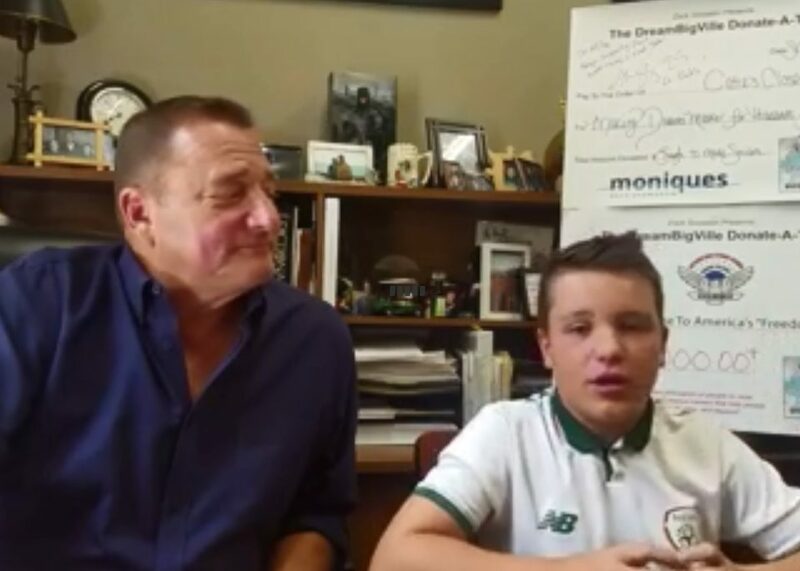 “Sometimes people need an hour, sometimes they need four to five hours of uninterrupted time, but it’s always best to make an appointment” says Michael Battista, president of Monique’s. And because Monique’s is the go-to bath showroom for not only homeowners, but architects, contractors, interior designers, plumbers, and builders alike, the staff offers a fully customizable experience depending on your needs. 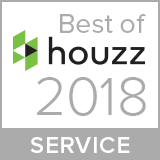 You can be sure you’re in good hands: Monique’s has received multiple accolades, including Decorative Plumbing and Hardware Association (DPHA) Showroom of the Year award and Kitchen and Bath Industry Show (KBIS) Innovative Showroom of the Year winner. They also have been recognized by Houzz as industry experts for multiple years as well as American Express and Yelp. At Monique’s, they only care about one thing: setting you up with the perfect product for your space—they aren’t partial to one specific brand. 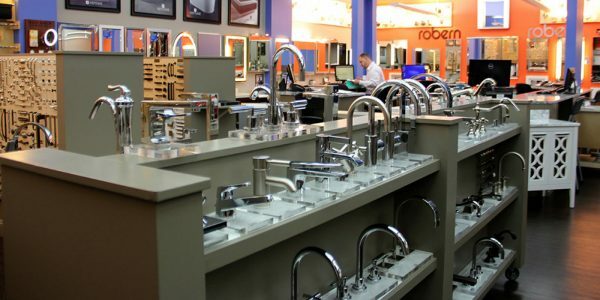 Many showrooms are loyal to just a select number of brands, Kohler being one. But at Monique’s, Kohler products are not on display—you can find that brand almost anywhere else. If you had your heart set on a particular Kohler piece, however, never fear: The staff at Monique’s can accommodate virtually any need, especially if Kohler products are being requested. 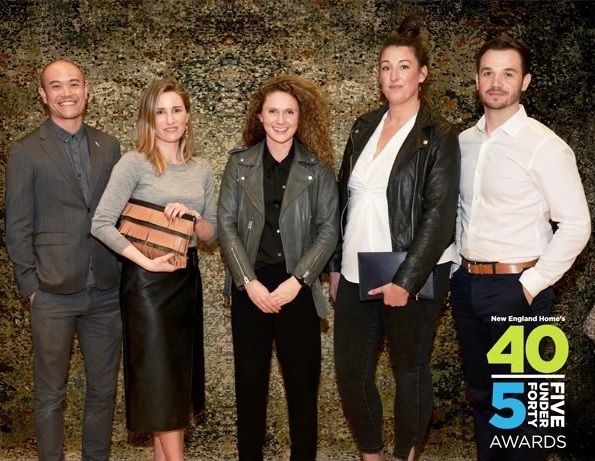 They have close relationships with a wide variety of manufacturers, and they are considered the “test kitchen” of the bath showroom world, receiving new products to test out and gauge customers’ reactions. The sales team receives new product testing right away to ensure the sales team is up-to-date with all aspects of the new products. 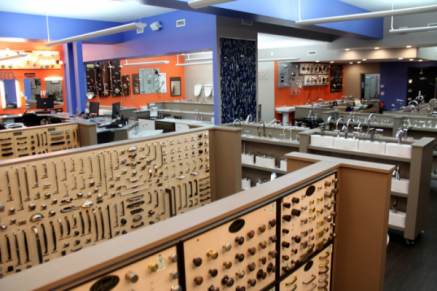 “Our sales staff know their stuff more than anybody else does,” says Battista. Bathroom renovations are a huge investment, and it’s hard to know what you’re getting when you shop online. Sure, it may look nice on the screen but you’re installing items that you’ll use every single day—how can you be sure it will fit your lifestyle or your space? Monique’s understands this balancing act of aesthetics, quality, and most importantly usability, and they ensure customers get the full experience of the product before they purchase it. Customers have even been known to arrive in their bathing suits to stand in the showers, lay in the bathtubs and sit on the toilets to replicate their daily experiences as closely as possible. You can’t do that online. Monique’s also assures that the products you purchase meet Massachusetts code. Plumbing inspectors will not allow plumbing products to be installed otherwise. Try returning something online that has been installed or removed. “I could show you a picture [of the product] online all day long, but until you’re in front of it you don’t get the nuances of it,” says Battista. The showroom’s new bathrooms were even renovated using the same items they display—that’s how much they believe in their product line. And if anything happens to go wrong with the product you selected? Never fear; Monique’s is there to make it right. Forget about waiting on hold or printing out tracking numbers; at Monique’s, they’re with you every step of the way, offering in-person assistance until you’re completely satisfied. If you buy something online, you’re on your own. You’ll have to figure out a way to not only deal with the error, but also pack and ship back that fragile and often heavy item. Monique’s may have an emphasis on in-person experiences, but that doesn’t mean they are behind the times—far from it, in fact. Their newly redesigned website features a virtual tour of their 4,500 square ft. showroom, innovative videos, client testimonials, a blog and photos of the vast number of products they carry. You can also create wish lists of the items that catch your eye, and schedule an appointment online to come see them in person. The blend of technology and a tactile buying experience is unique, and it’s where Monique’s thrives. They are moving forward while still staying true to their roots, proving that brick and mortar is here to stay. To schedule a time to tour the showroom and visit with one of Monique’s award-winning sales team members, call the number on the screen or fill out a wish list for any products you are interested in on their website.